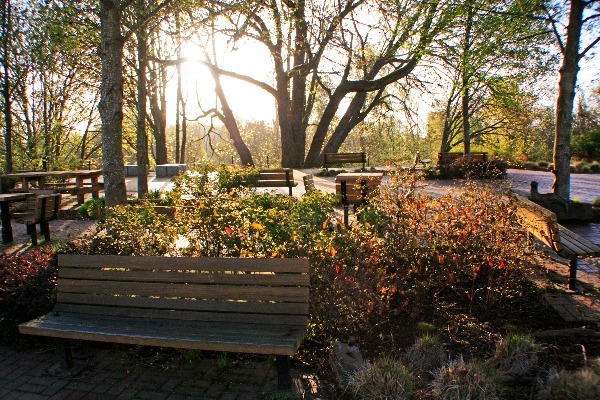 Corvallis, Oregon’s Riverfront Commemorative Park is a beautiful urban park bordering 1st Street along the Willamette River. It’s a great place to bring a lunch, go for a bike ride, walk your dog, or just lay around on the grass and enjoy. It’s also dotted with some lovely sculptures, making this a great little walk for art lovers.